Residential & Commercial ~ Visit our property management and real estate website for a free inquiry for service and to view our rental properties. Tenants are able to submit a rental application on-line. 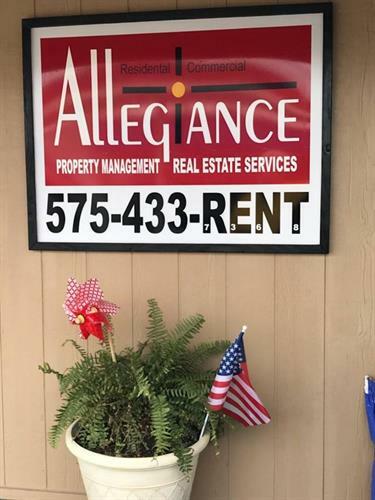 In addition to property management, Allegiance is a licensed real estate brokerage in New Mexico. For all your property investment needs, Allegiance has you covered. Allegiance supports Equal Opportunity Housing. Come by our office during business hours and our friendly staff will take care of you. Se Habla Español. Find us at the corner of Copper and Grimes, across the street from the Stripes Convenience Store.